Living Area 723 Sq. ft. Lot Size: 1967 Square Ft. Sweeping Panoramic Ocean Views! 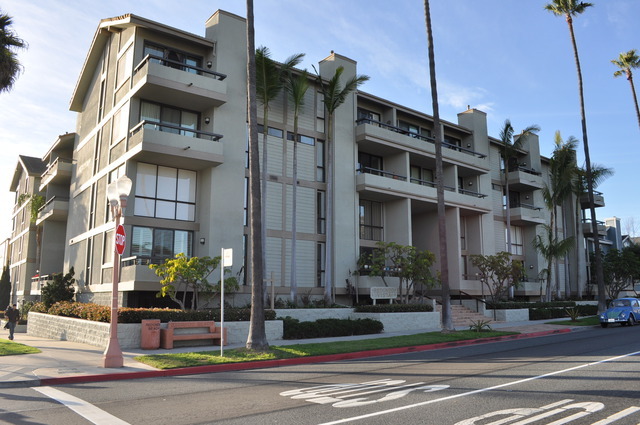 Only a half block to the beach, this top level penthouse-style 3 bedroom & 2.5 bath condominium features a formal living room with fireplace & balcony, dining room, and loft all boasting ocean views! Gourmet Kitchen features granite counter-tops, Jennair Cooktop, Euro-vent, and stainless steel appliances plus breakfast nook. Both bedroom suites (which are located downstairs) feature slate floors, newer carpet, designer paint, custom window shutters and more. The upstairs loft bedroom features a spacious balcony boasting incredible views. Secure, enclosed tandem 2-car parking. Other amenities include 3 balconies, hardwood floors, vaulted ceilings and more. Close proximity to Hollywood Riviera shops & restaurants.